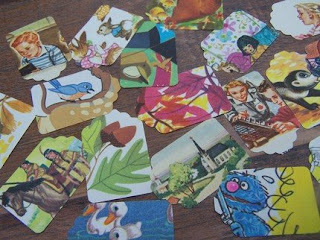 Look at these gift tags punched from vintage children's books. 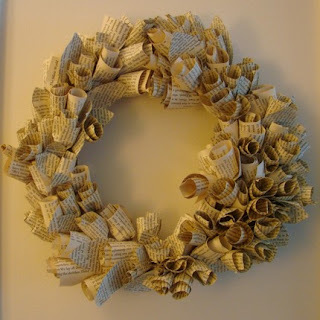 This artist twisted and curled pages from an old novel to create a unique wreath. What about this fun sphere? How fun would this be hanging in your living room or reading area? 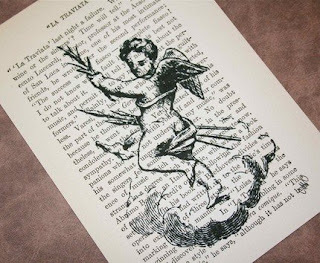 How beautiful does this drawing look on a salvaged book page? 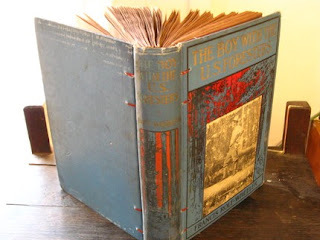 This vintage book has been repurposed as a journal full of blank pages waiting to be filled... perhaps with your own novel? I bought John one of these for his doodles/thoughts and I love the way it looks sitting by the bed... like a tired, old book. Once, in the fourth grade, I made a turkey display for Thanksgiving by folding the pages of the Reader's Digest and adding turkey accoutrements (!) I don't think it turned out nearly as beautiful as any of these. 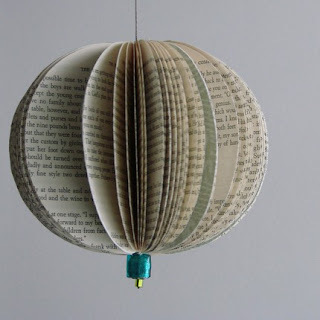 Have you or would you ever altered a book or magazine?